This weekend, I visited a panel discussion on “Next generation sustainability” at UBC’s new Centre for Interactive Research on Sustainability (CIRS). 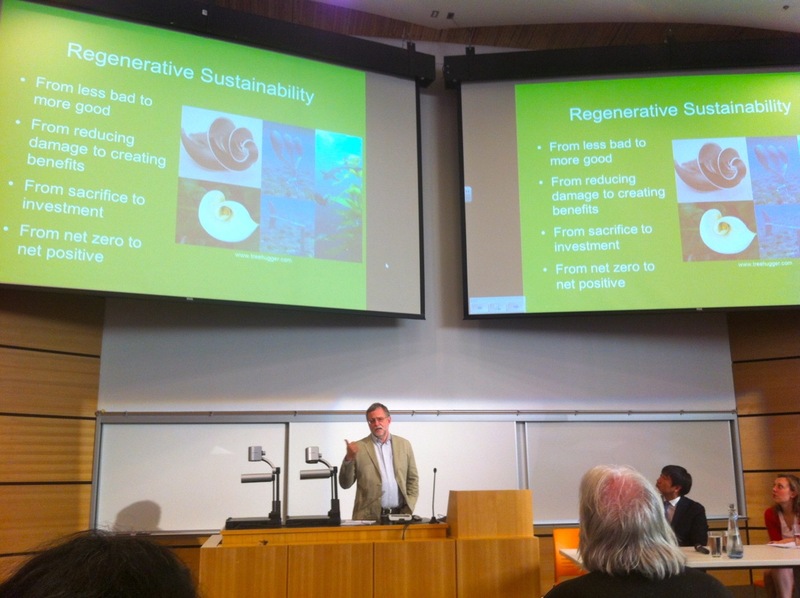 Professor John Robinson, who was recently named Canada’s Environmental Scientist of the Year, talked about the concept of regenerative sustainability, UBC’s sustainability initiatives and CIRS’s contribution as a living laboratory for sustainability. Regenerative sustainability means to take a positive and proactive approach to sustainability, to move from less bad to more good, from sacrifice to investment, from reducing damage to creating benefits or from net zero to net positive. We have to leave the narrative of sacrifice as it is not empowering people and creates apathy. Instead we have to figure out ways to become regenerative in all areas of our jobs and daily lives, we have to encourage people and show what is done and we have to ask yourselves “What can you do?”. In Professor Robinson’s opinion, universities should be at the very forefront of exploring regenerative sustainability and examine in which areas they can be regenerative. 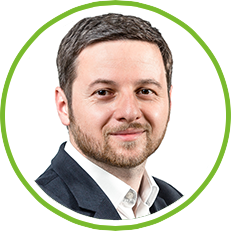 This often needs a cultural change which means that the academic and operational sides need to connect, that the campus should be a living laboratory and that external partners should become agents of change that take the university’s insights out to the world. According to Professor Robinson, universities are uniquely suited for the role of a sustainability test-bed as they have many buildings, a single occupier and a public mandate and as they do research and teaching. As a leading example, UBC has set itself the most ambitious carbon-reduction targets of the world’s top universities (33% by 2015, 67% by 2020 and 100% by 2050) and developed a comprehensive roadmap for achieving these targets. As a cornerstone of UBC’s regenerative sustainability strategy, the CIRS building itself is regenerative. Not only is it net positive on energy, operational carbon (carbon emissions), water quality and structural carbon (wood) but it is also regenerative in human terms as its design should increase the productivity, health and happiness of the people in the building. Moreover, it is an integral part of UBC’s integrated campus systems with regards to its energy, water and waste infrastructure. According to Kera McArthur, UBC’s Director of Public Engagement for Campus and Community Planning, UBC’s campus is becoming an emerging ecocity as it is transforming from a commuter campus to a complete sustainable community with affordable housing, green space, green infrastructure and green buildings as well as shops, services, parks, and public transportation all within walking distance. So, the number of people living on the campus should further increase from 17.000 to 30.000 people in 2025, thereby also increasing its density. A central element of developing this sustainable community is also to teach sustainability where UBC recognizes the transdisciplinary and holistic character of sustainability. In fact, no matter what program, there should be a sustainability pathway in every single program for every student. By fostering systems thinking, sustainability knowledge, sustainability awareness and inspiration, and actions for positive change, students should be enabled to commit, integrate, demonstrate and inspire!